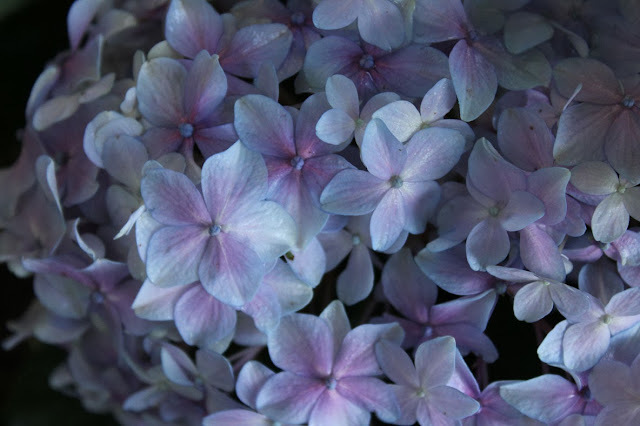 We all know that the ph of the soil affects what colour your Hydrangeas are - in most species the flowers are white, but some species (notably H. macrophylla), can be blue, red, pink, light purple, or dark purple. In these species the colour is affected by soil pH. 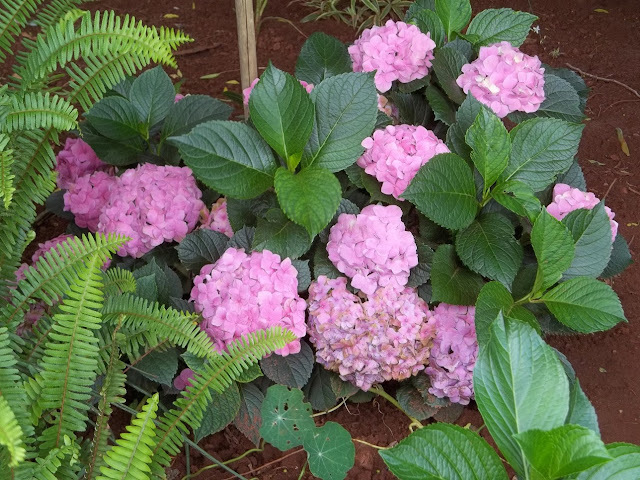 For H. macrophylla and H. serrata cultivars, the flower colour can be determined by the relative acidity of the soil: an acidic soil (pH below 6) will usually produce flower colours closer to blue, whereas an alkaline soil (pH above 6) will produce flowers more pink. This is caused by a colour change of the flower pigments in the presence of aluminium ions which can be taken up into hyper-accumulating plants. But here's the thing. Last year most of my Hydrangeas were pink, and this year, the first flowers that have appeared are blue. So what has changed with my soil between the end of last summer and the beginning of this summer? The only new thing that has happened is that I composted my whole garden at the end of winter and I suspect that the compost mix was probably high in aluminium sulfate. However, Hydrangeas often change colour on their own when they are planted or transplanted. They are adjusting to the new environment. It is not unusual to see several different colours on one shrub the next year after planting. 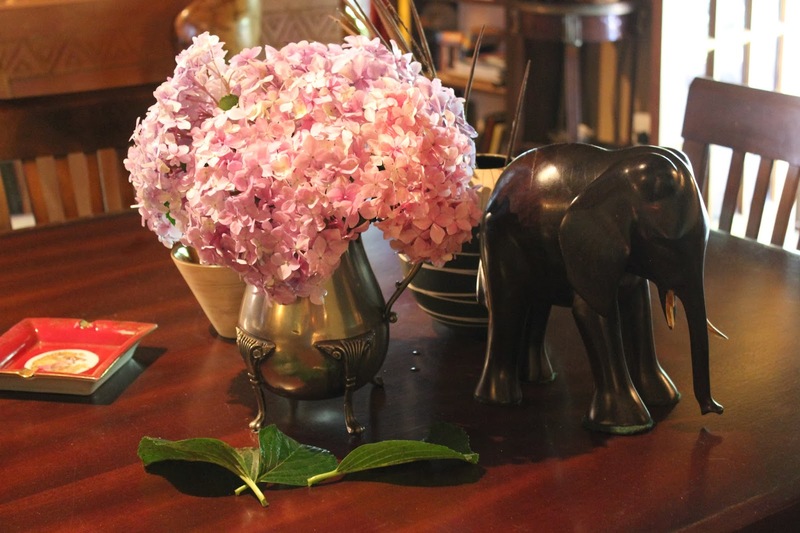 Although 70-75 species of hydrangea plants are native to southern and eastern Asia (China, Japan, Korea, the Himalayas, and Indonesia) and the Americas, no South African garden seems to be complete without them - we have made them our own "Christmas flower", as they start blooming in November, reaching a peak in December and over Christmas. Instead of holly and ivy, our Christmas tables and mantles are decorated with Hydrangeas and their big green leaves. It is best to pick blooms when they are at least a few weeks old. The older the bloom, the longer it will last. Colour pigments should be fully developed before cutting. - Hydrangeas are one of very few plants that accumulate aluminium. 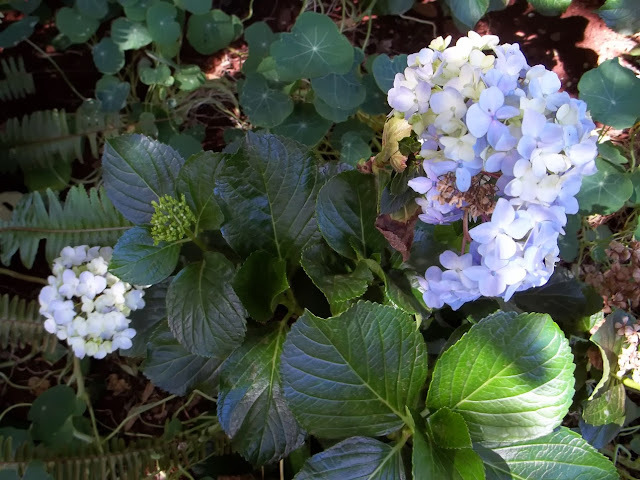 Aluminium is released from acidic soils, and forms complexes in the hydrangea flower giving them their blue colour. 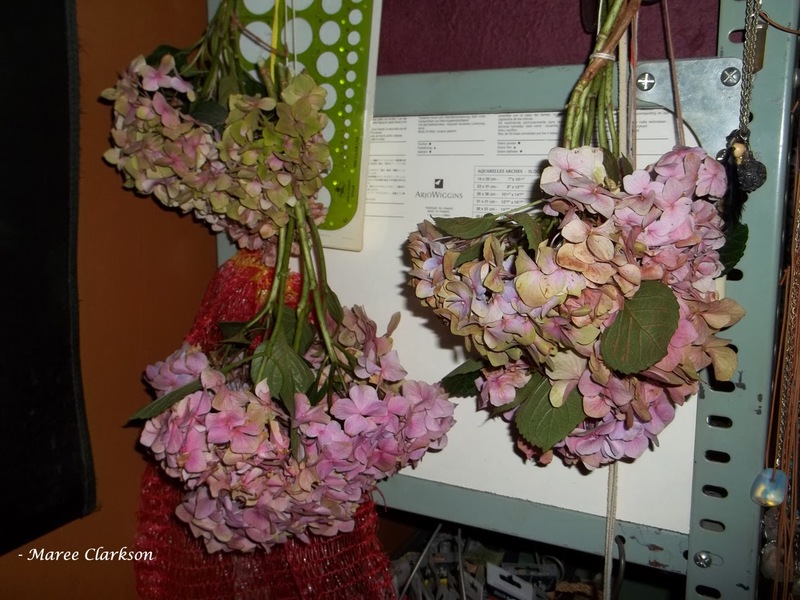 - Hydrangeas produce their main flower clusters from the tips of shoots formed from the previous season. - If the terminal buds of these shoots are destroyed, the plant usually fails to bloom. The chief causes of destruction of the terminal buds are excessive winter cold and uninformed pruning. 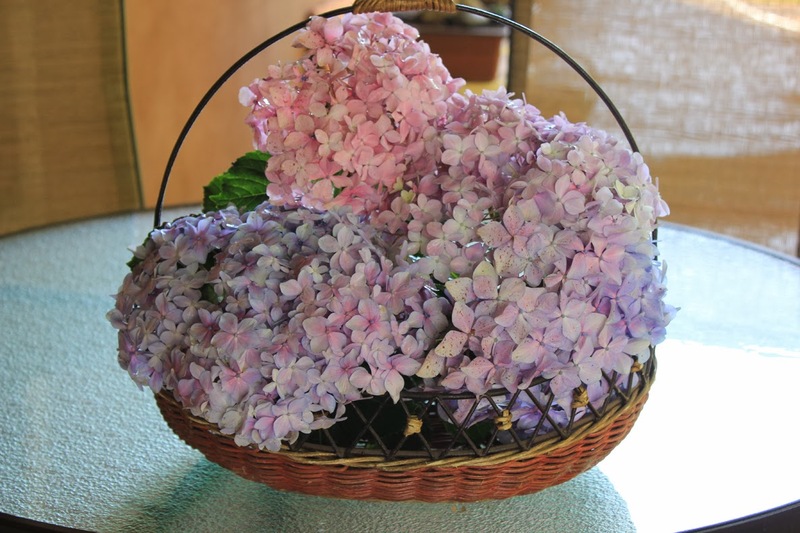 - Hydrangeas are also widely used as dried flowers, especially the blue Hydrangeas. - Although most Hydrangeas bloom in summer and fall, a few Hydrangeas have developed the ability to set new bloom buds in the spring after the old ones have been pruned off or damaged.